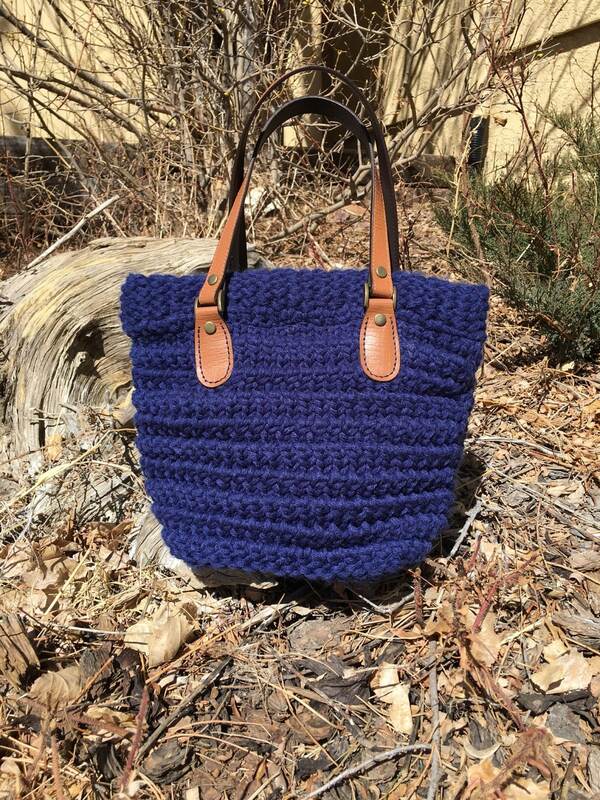 The handbag was knit on a 3/4” gauge, 41-peg yellow Knifty Knitter round loom. It requires approximately 475 yards of a worsted weight yarn. Red Heart Super Saver in Soft Navy was used in the sample. 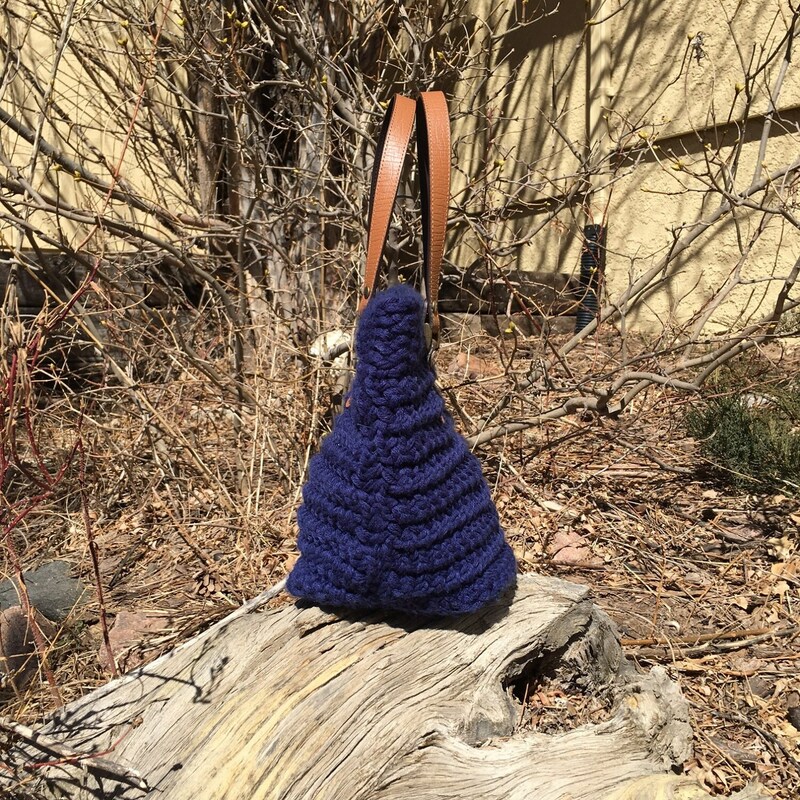 The bag is 11" tall x 13" wide (excluding handles). 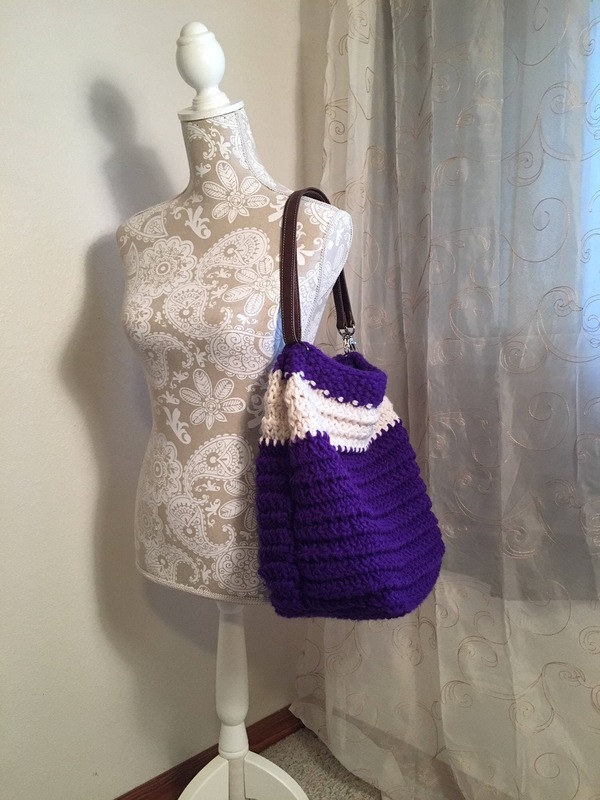 The pattern includes photo tutorials of the mock crochet stitch and the half hitch cast on to aid the knitter. 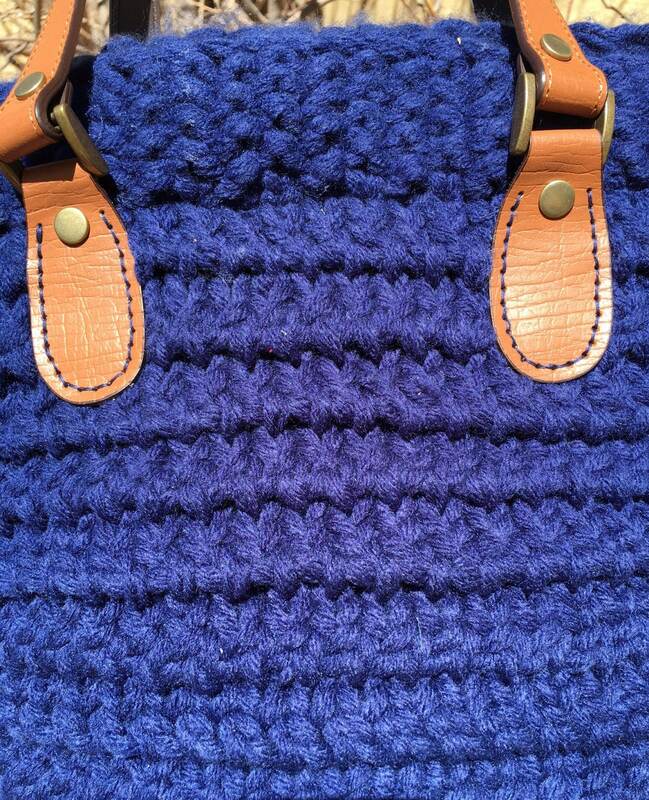 As such, the pattern is suitable for a confident advanced beginner who has mastered the basic skills of loom knitting. 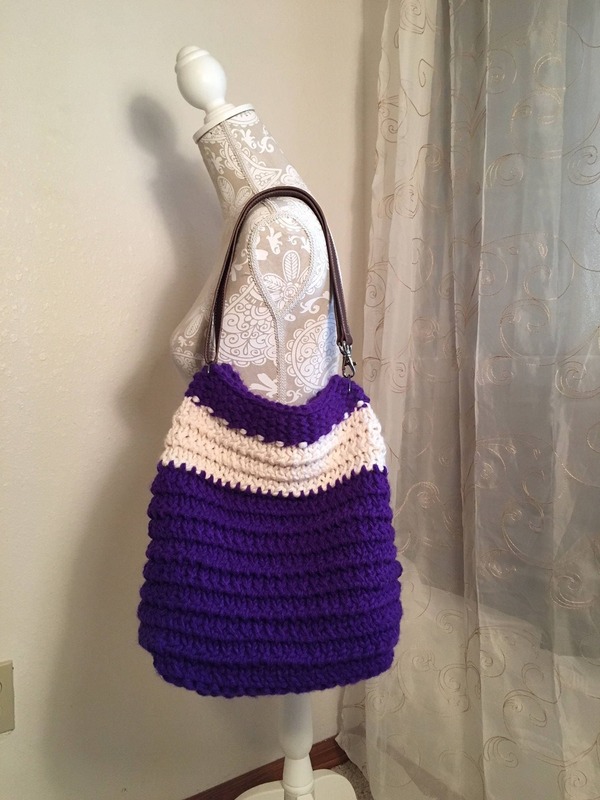 UPDATE: This pattern now includes instructions for making both an 11” x 13” handbag (navy bag in pictures) AND a 14.5” x 12” tote bag (purple bag in pictures).